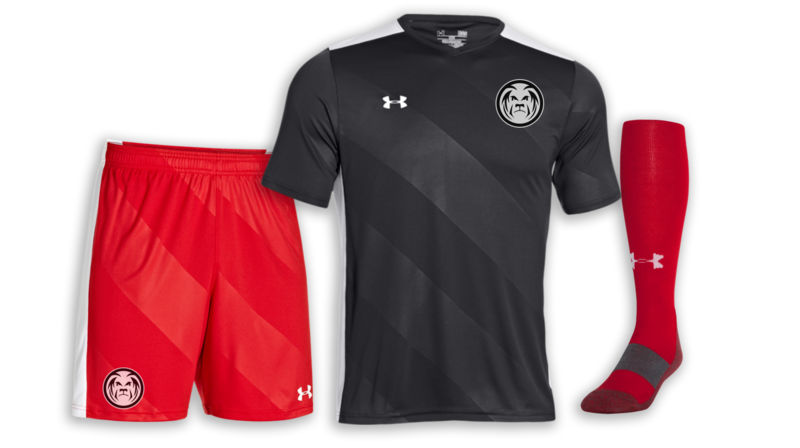 Armourfuse Sublimated Soccer Jersey and Shorts are available in multiple patters and colors. Includes sublimated team logo, and front and back numbers on jersey. 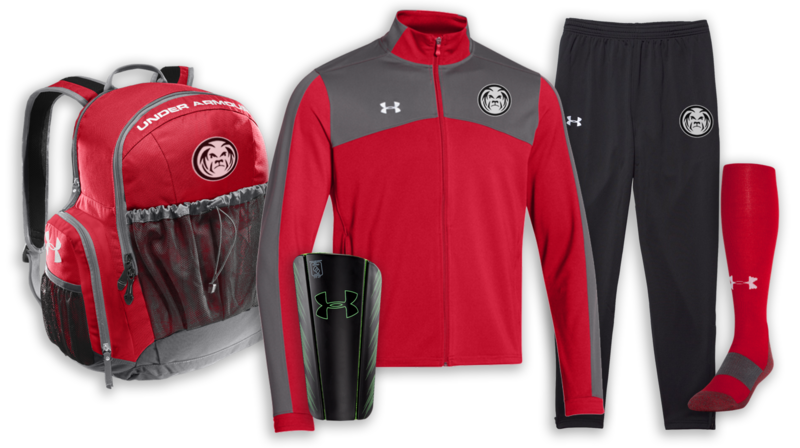 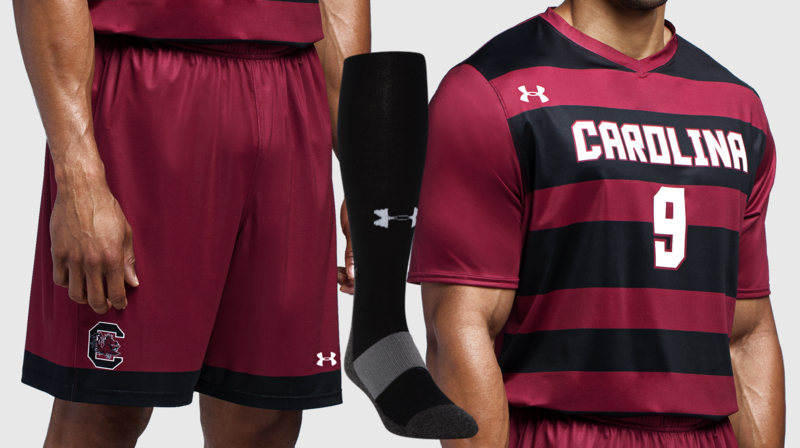 Package also includes UA Over the Calf Sock.